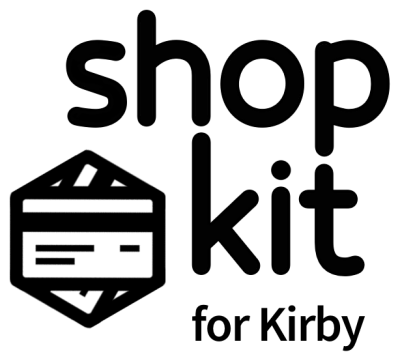 Selling digital products, like music or high-resolutions photographs, is easy with Shopkit. First, click Edit on the variant you want to associate with a download. Then, go to the Downloads tab. You’ll be able to choose from all the files that have been uploaded to this product page. 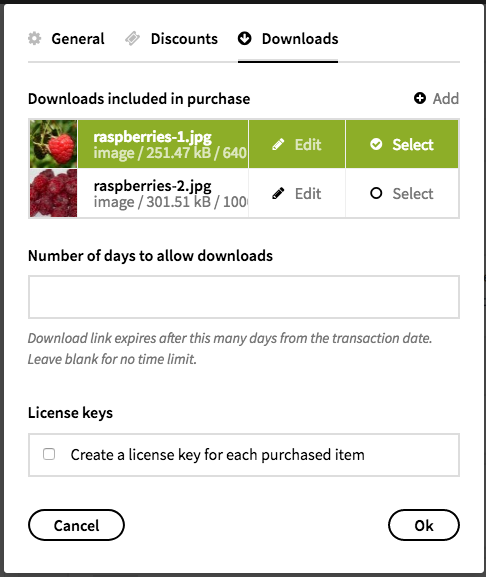 Leave the Number of days to allow downloads field empty if you want your customers to be able to return to their orders and re-download their purchase forever. Otherwise, you can set a time limit here. 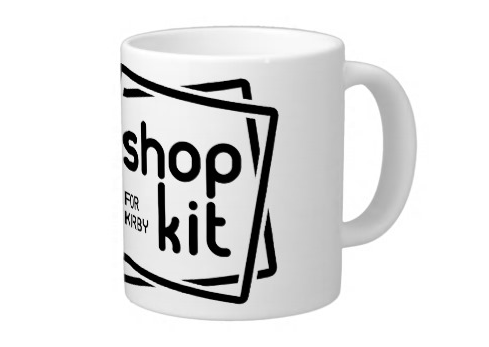 Check License keys if you want Shopkit to generate a unique license key for each purchased item.